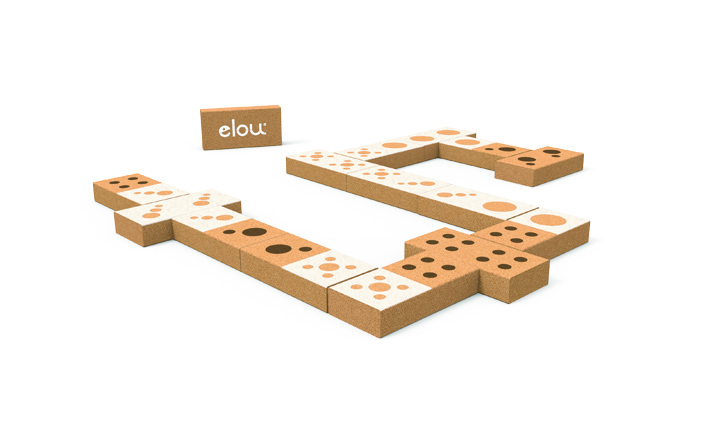 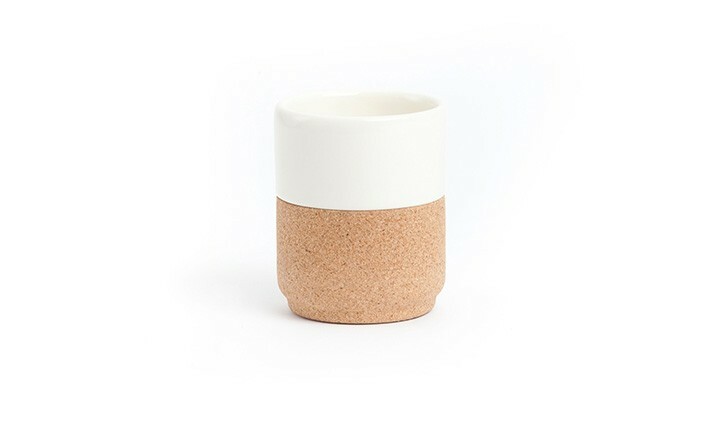 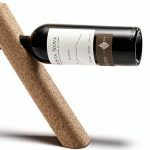 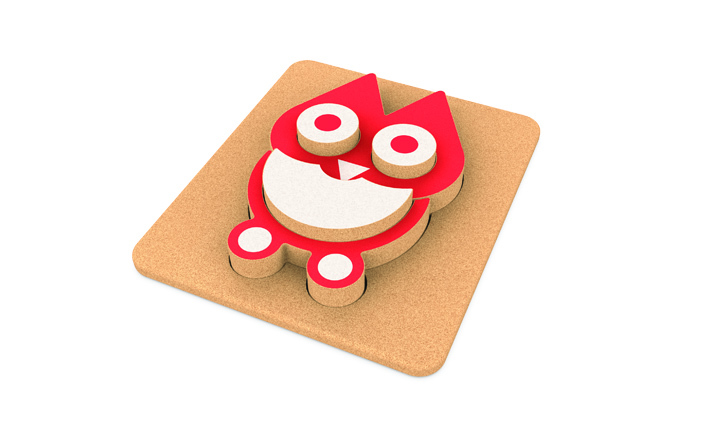 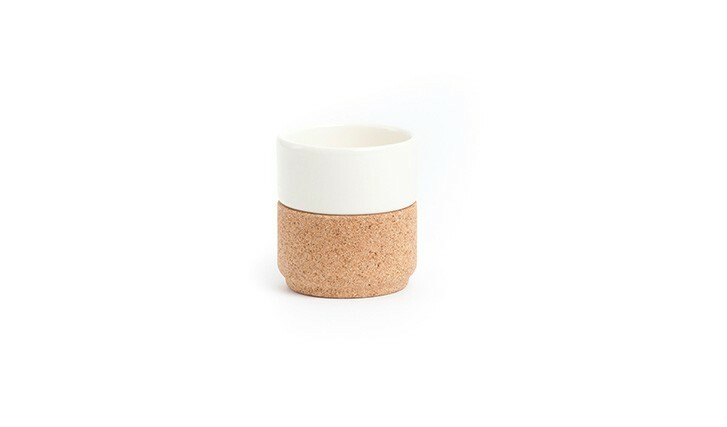 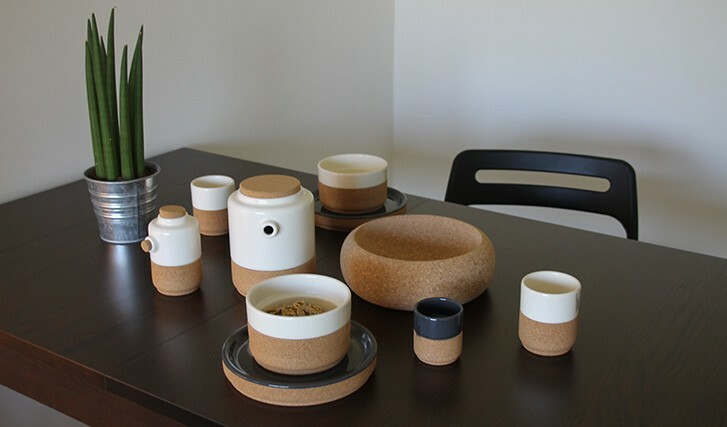 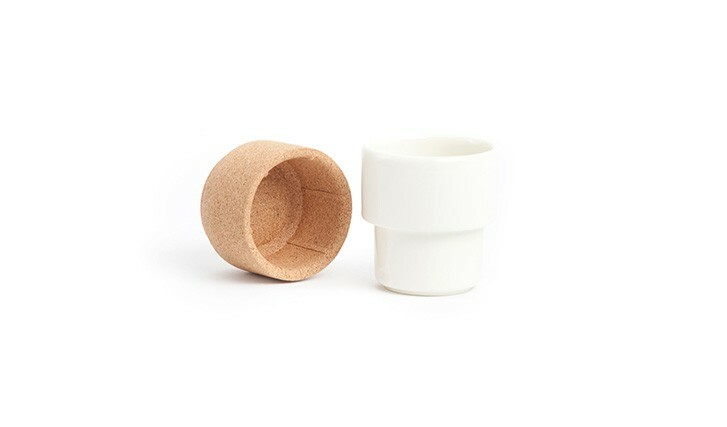 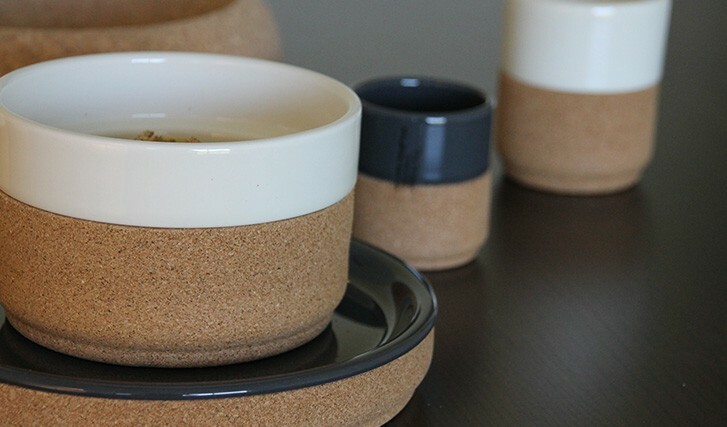 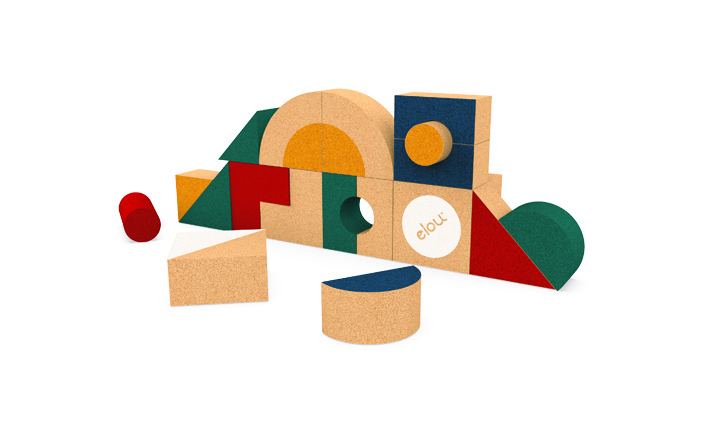 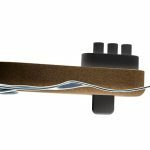 All these products are made of cork and ceramic, an agreeable alliance of these two materials. 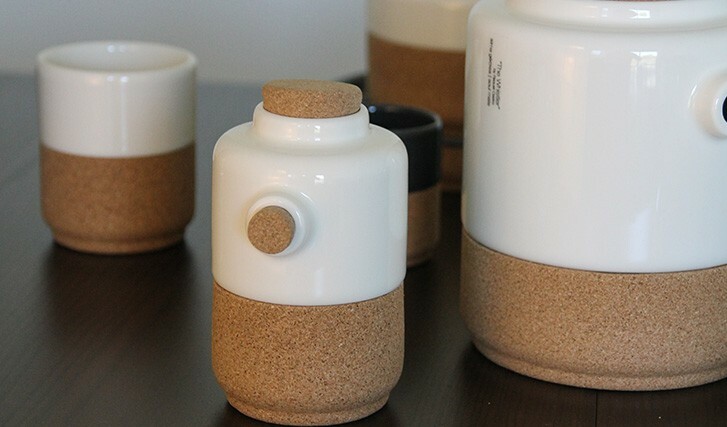 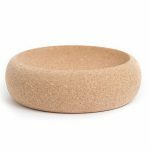 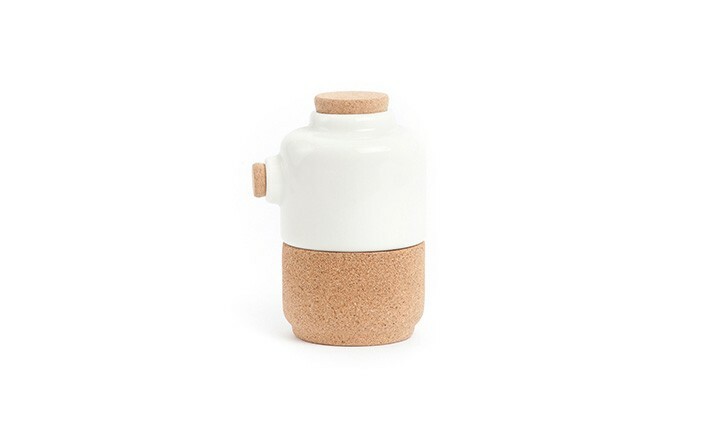 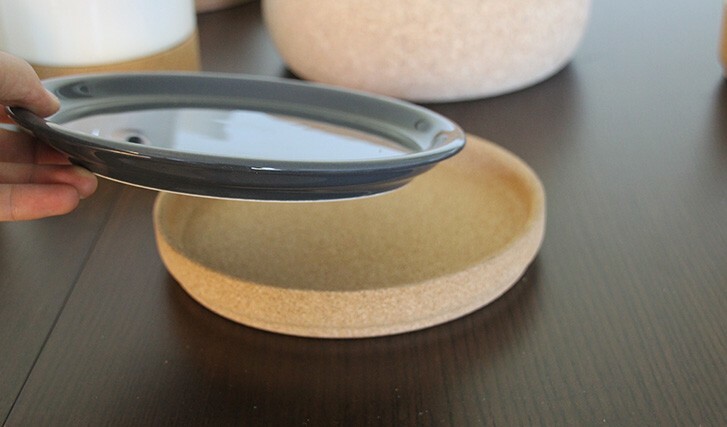 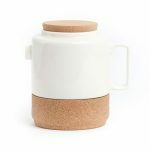 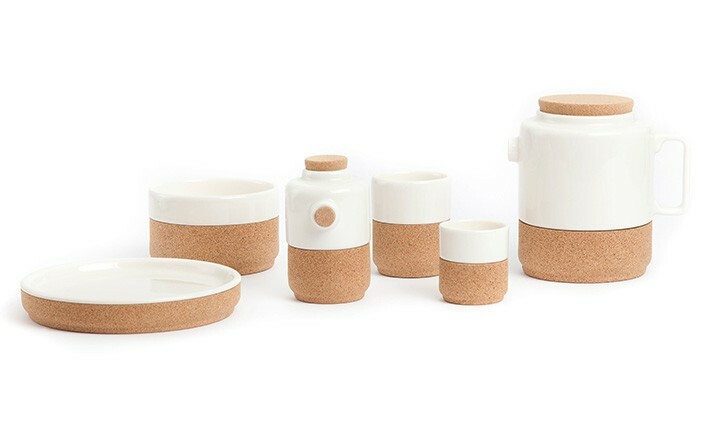 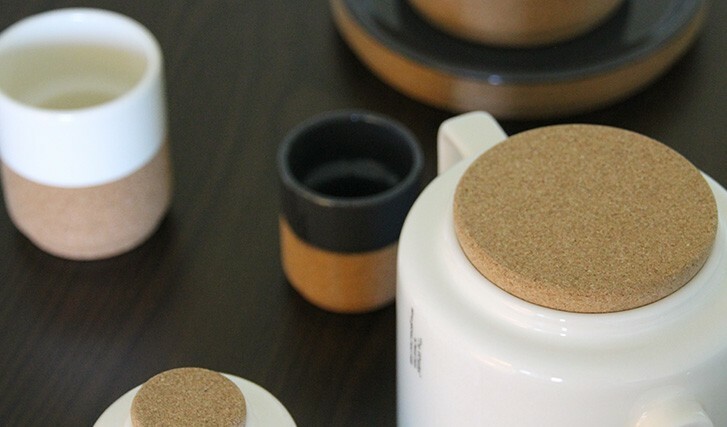 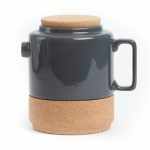 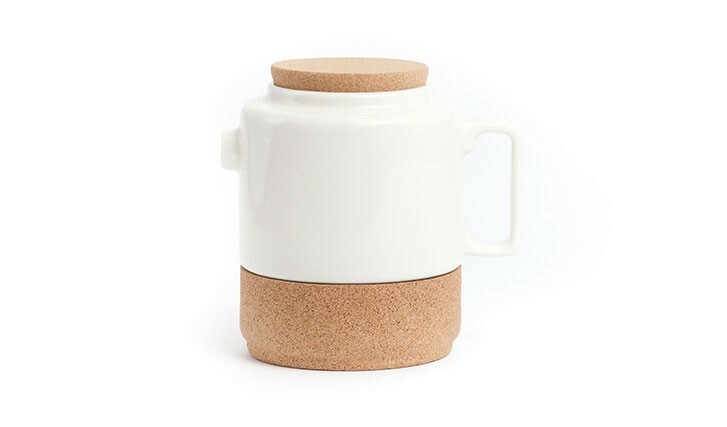 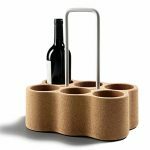 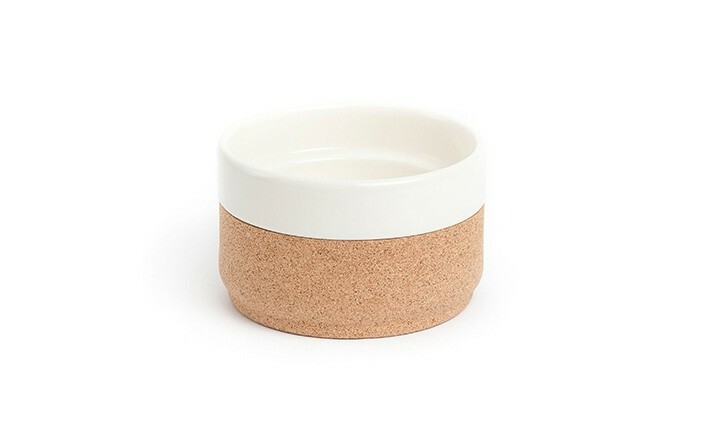 The Pot’s lid is totally made of cork and its bottom is coated with cork as well as the other items, due to the thermic insulation capacities of this material. 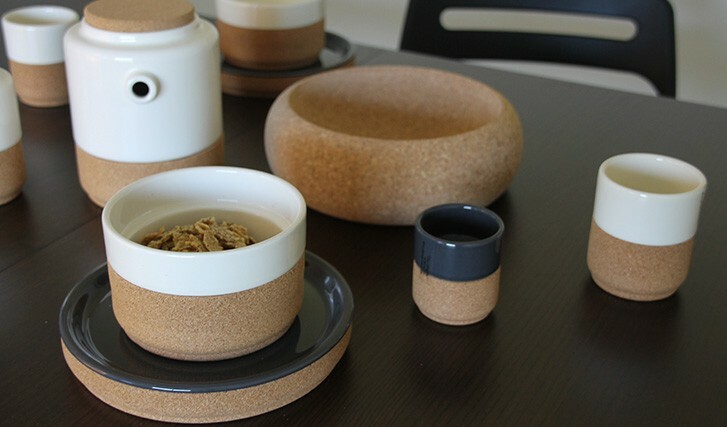 This is unquestionable a beautiful set to have at home to serve tea to some friends.